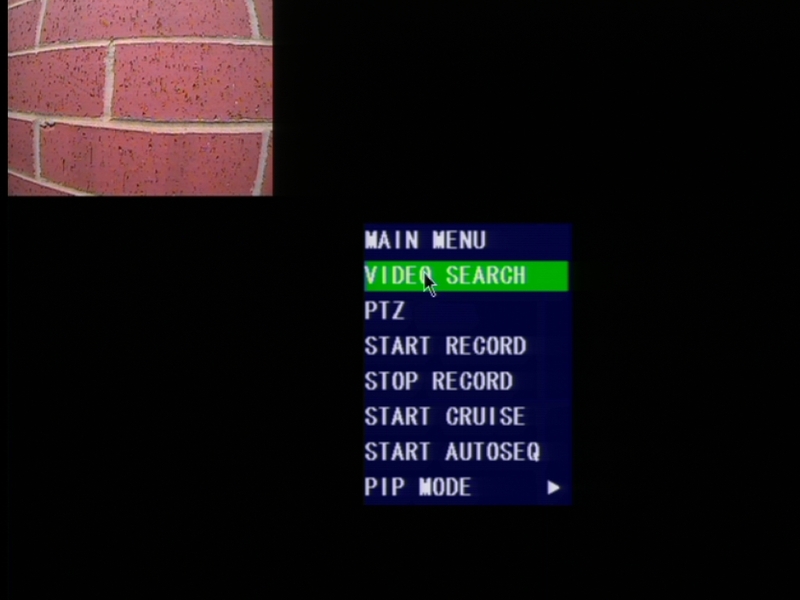 With the DVR booted up and the cameras displaying on screen right click your mouse to bring up the submenu as shown below. From this select the "Video Search" option at the top. If you are unable to control your mouse and the button functions on the DVR itself are not working hold the rewind button until you hear a beep to enable them and proceed as directed above. 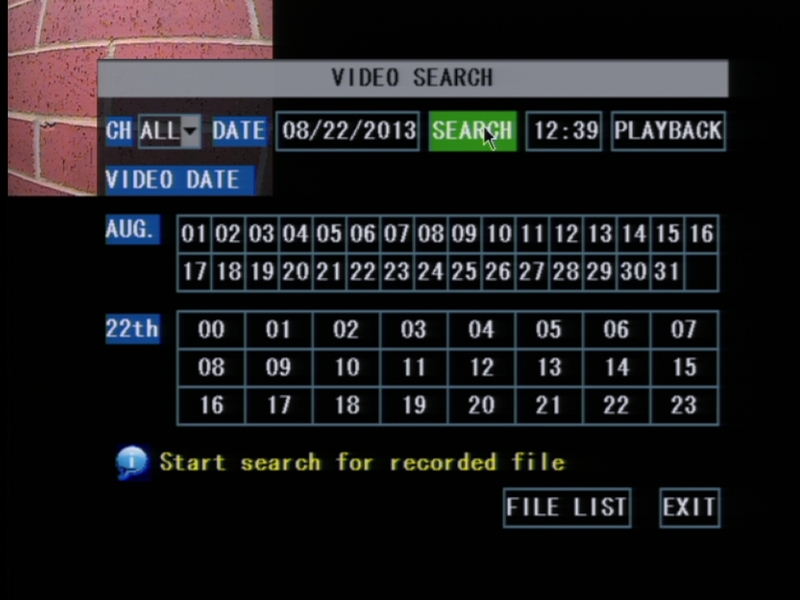 After selection Video Search you will be presented with the search screen as shown below. Here from the search menu the first thing you will do is set the appropriate month you would like to search. The day is mostly unimportant as it will search the entire selected month for you. after setting the date however the most important thing you do before anything else is click SEARCH. If you see the message below you did not click search prior to selecting the date you would like to view. Please click search. After clicking "search" you will see it highlight any day on the calendar that has recordings on it. Days will be either highlighted in green or red, or both, indicating what type of recording is on that day(Green for standard and red for motion/alarm based recording). From this point simply click on the day of the month that will contain the footage you desire to back up. After choosing the day, we will skip right past the hours labeled 00-23 and go straight to the "File List" option at the button of the page. You will see the page shown below. The page you see will have more video files than displayed above, and will most likely have several pages of them. You may click "Prev." or "Next" to scroll through the various pages of video files. 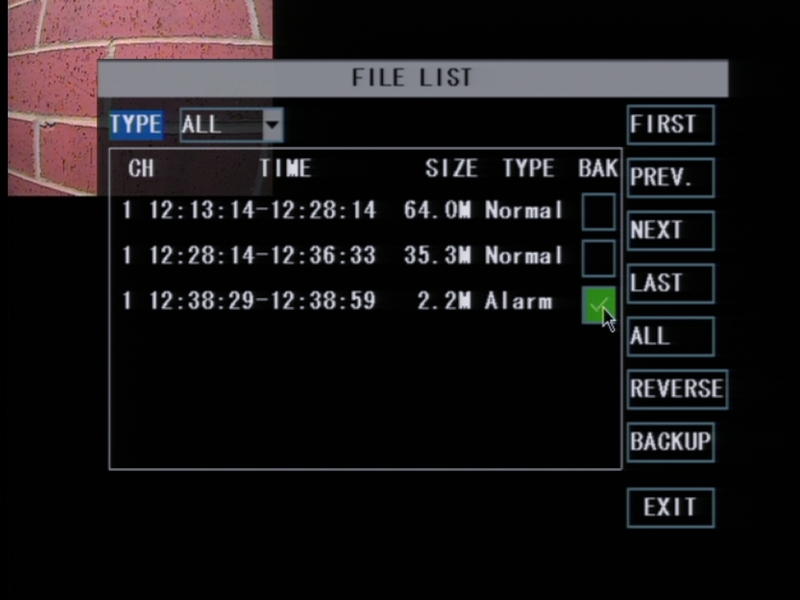 From left to right the video file shows the Channel of the recording, the time period it spans, the total size of the file, and what type of recording it is(motion or normal). You may only back up files from 1 page at a time. Check the box of any video files you wish to back up and then with your flash drive inserted in to the DVR's extra USB port press the "Backup" button. You will see the progress screen shown below. You will be notified when the backup is complete and left at the file list page again. From here you may scroll to other pages and back up other files. 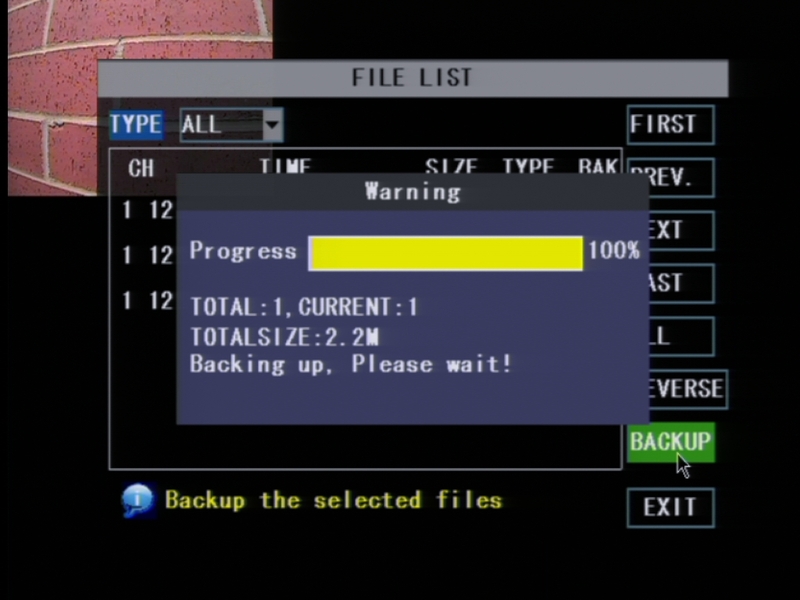 When you have the desired files backed up you may exit the menu completely and remove your flash drive from the DVR. 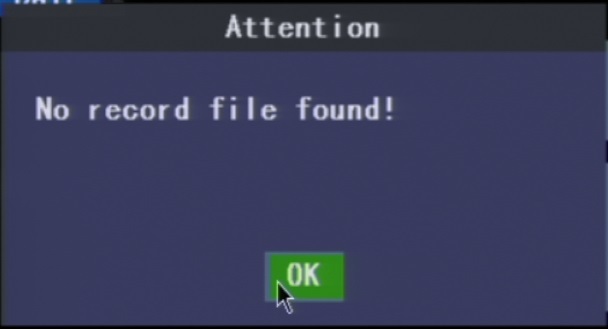 You will now have the files backed up to the flash drive. How do I backup video recorded on my SBN 4/8/6 or SAN 4/8 DVR? I have a H9000 or H9100 series DVR, and I need to convert a H.264 video file to AVI. How Do I Format The HDD On A DVR-H9104, H9108, or H9106?